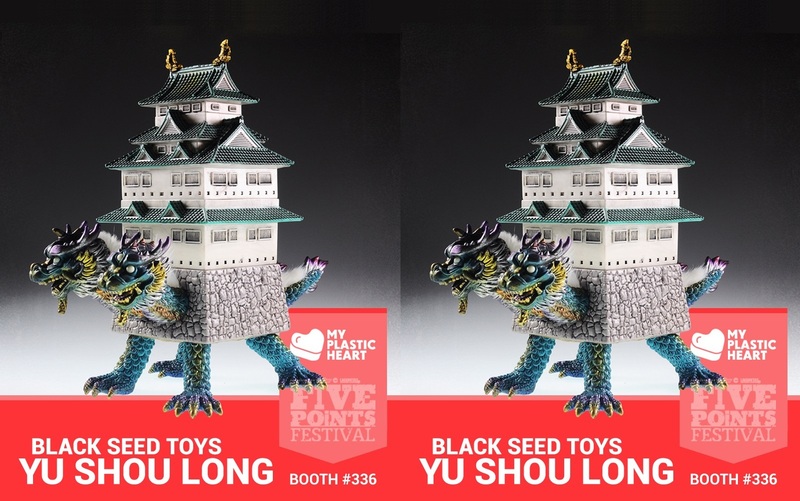 The majestic Yu Shou Long vinyl figure by Black Seed Toys will be making an appearance this weekend at the 2018 Five Points Fest! 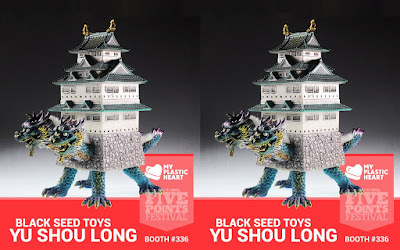 Yu Shou Long stands 10” tall, and features turquoise, purple and gold highlights with glow in the dark eyes. 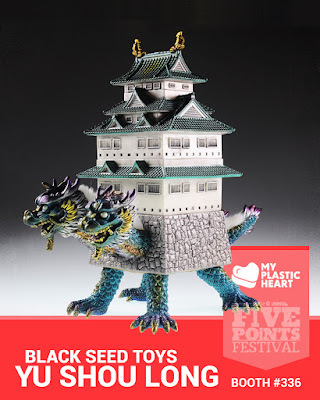 The Blot is constantly blown away by this sofubi, and the crazy sizes and paint schemes that Black Seed Toys is producing. Fans can purchase this Five Points Festival exclusive at the myplasticheart booth #336 for $300.